Olly Smith’s list of 50 Great Portuguese Wines 2013 has been released and is full of great value wines from Portugal. The 50 Great Portuguese Wines is a Wines of Portugal initiative that happens every year in the UK and the US. For this year’s UK event, Olly Smith, a well known TV and wine personality, was selected to choose his list of 50 Great Portuguese Wines. Olly has decided to focus on finding the best value wines between £7 – £30. 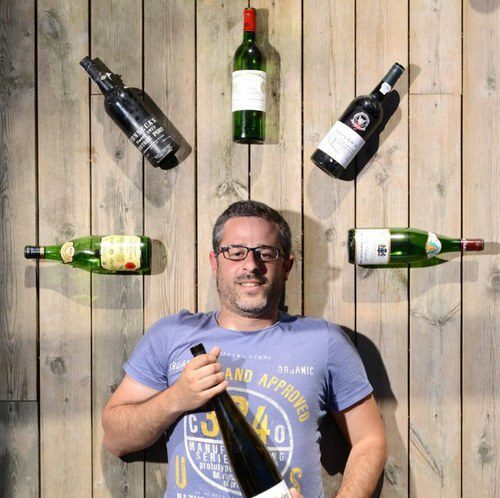 Olly Smith was already the 9th expert to be selected for this initiative which has become an annual highlight for Portuguese wine and has helped raise awareness for the exciting diversity of what is being done in Portugal. I’m a supporter of this initiative as I find that it works very well as a point of entry in the fantastic world of Portuguese wine for many wine lovers. Olly is a specially interesting selection for his ability to be consumer-focused and for his lively no-string-attached attitude towards wine. More information about each wine and a list of places where to buy them (around the world) is available by clicking on each wine. Pingback: Harpers – Mike Matthews on Stevens Garnier’s Portuguese portfolio | Magic's Wine Guide and Reviews for Newbies. say regarding this artiϲle, in my view its actually amazing for me. Ιts like you read my mind! You appear to know so much about this, likе you wrote tɦe book in it or something. this іs great blog. A great read. I will definitely be back. travel insurance for pensioners is something you ought to really take into consideration. The older you are, the greater at risk you might be for making something terrible happen to you while in foreign countries. you could have a few serious troubles. Thanks for expressing your advice on this website. When I originally commented I clicked the “Notify me when new comments are added” checkbox and now each time a comment is added I get several e-mails wih tthe same comment. Hello, yup this article is actually good and I have learned lot of things from it regarding blogging. onn the screen could be the onne you muust prepare and drink. will be on your ѡay to repairing your old faucet and making it function like new again. faucet fixturеs to match the d�cor or to upgгade to a dream faucet. Yes! Finally someone writes about poconos. I pay a quick visit each day some web pages and information sites to read articles or reviews, however this website offers quality based content. boom beach hack incorporates a substantial position within American Way of life. Many people can often be observed taking part in actions connected with boom beach cheats. possibly be thought to be the outcast. process. For more Metal Gear Solid 2 cheats and tips visit Cheat – Server. the board richer than when they came to it. back someday. I want to encourage one to continue your great job, have a nice holiday weekend!